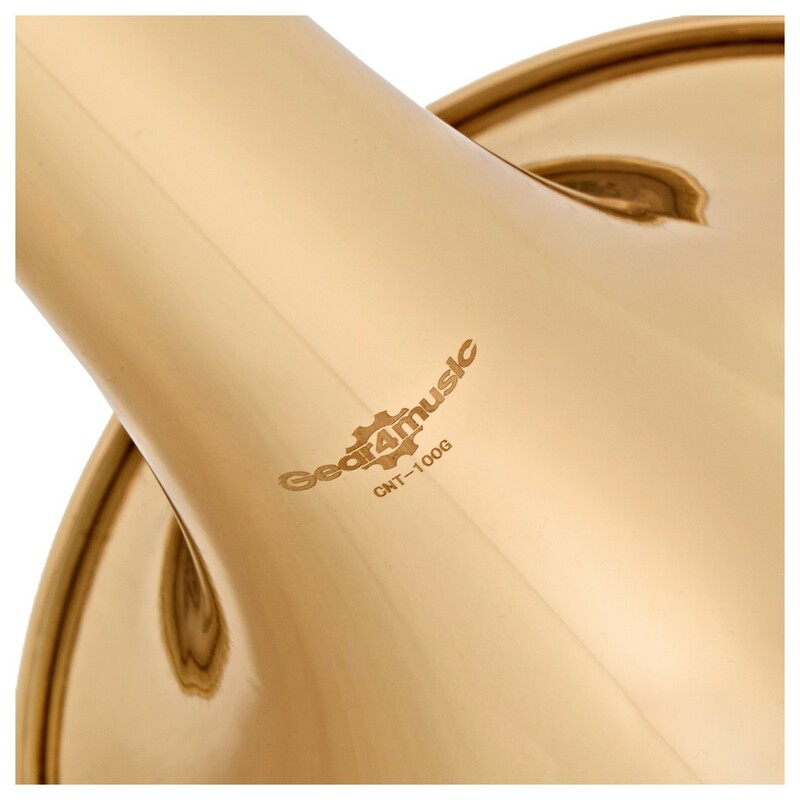 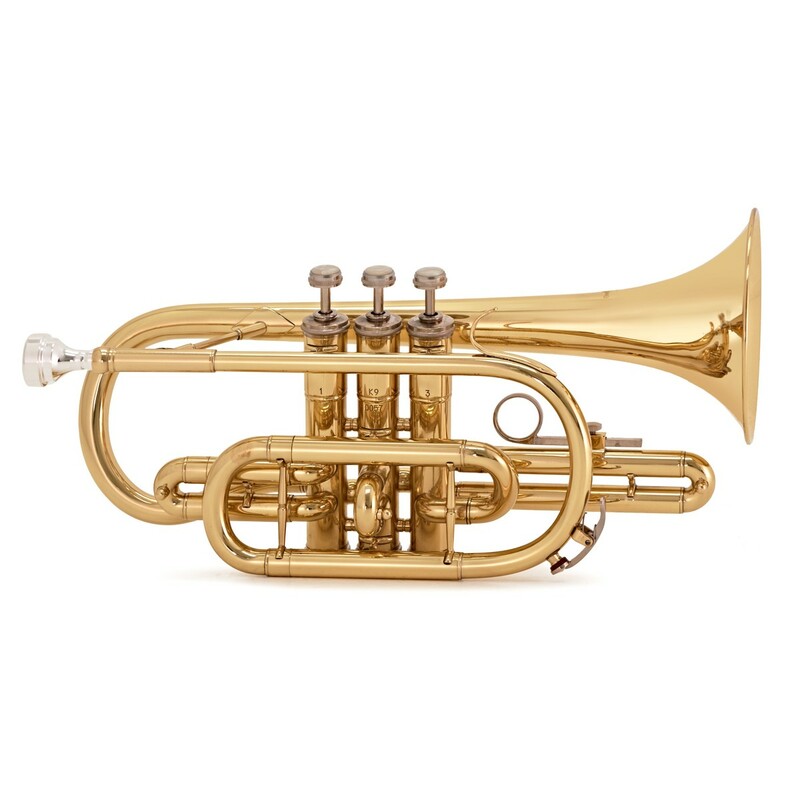 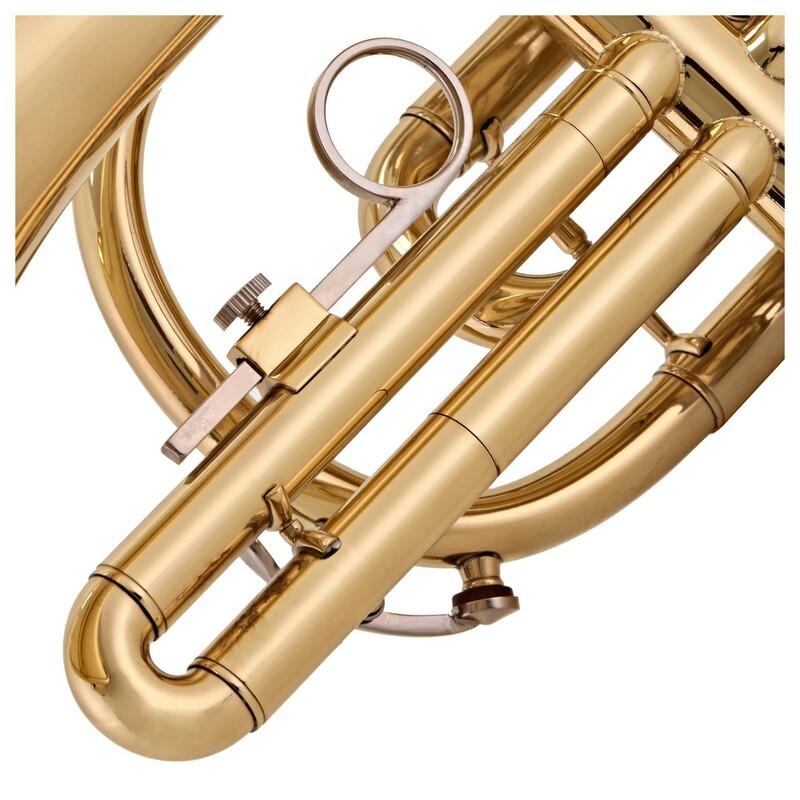 The Student Cornet by Gear4music boasts great intonation and a light easy response. Supplied with a mouthpiece, hard case and polishing cloth, this cornet has a medium/large bore, making it a very easy blowing instrument, which is ideal for students starting out and suitable for players looking to advance up to a grade 6 standard. 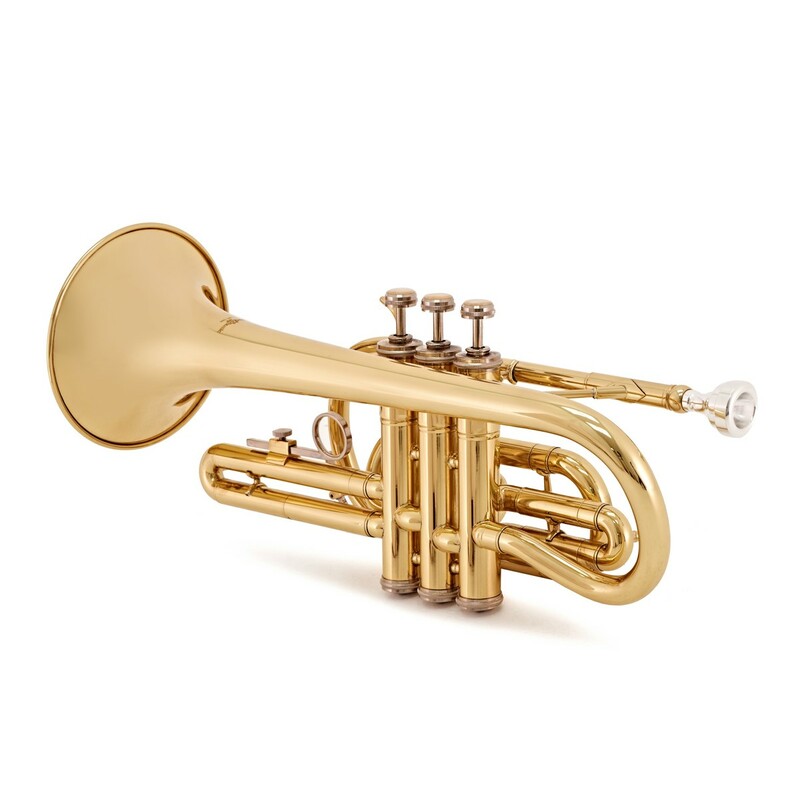 The Gear4music Student Cornet is a high quality instrument at a remarkably competitive price. 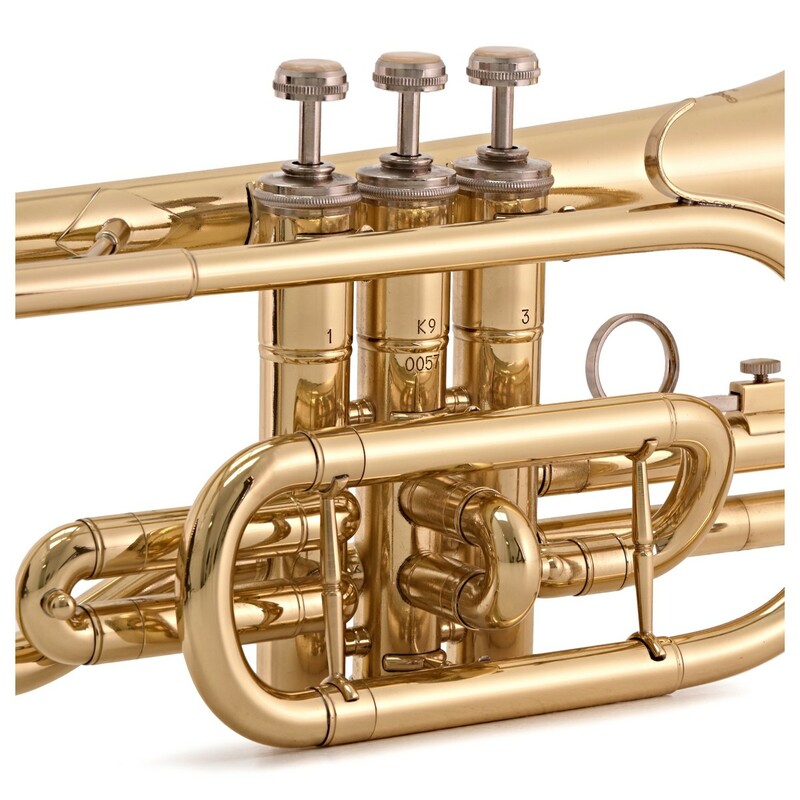 It is designed to be comfortable for the younger player; a medium/large bore easy blowing instrument, with great intonation and a light easy response due to its smooth action valves. 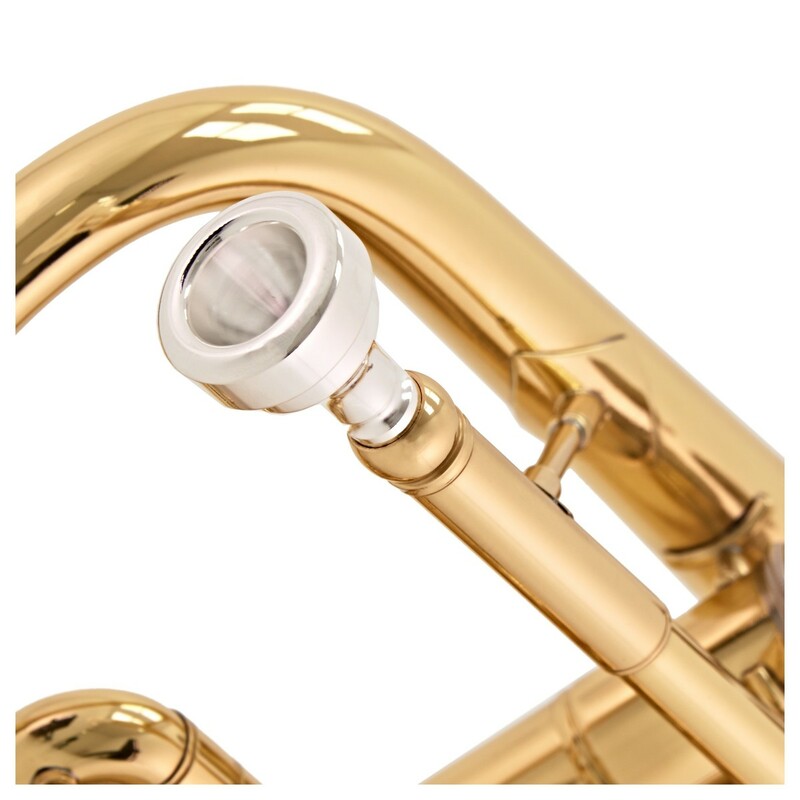 Along with a shepherds crook style bell, it is ideal for a beginner. 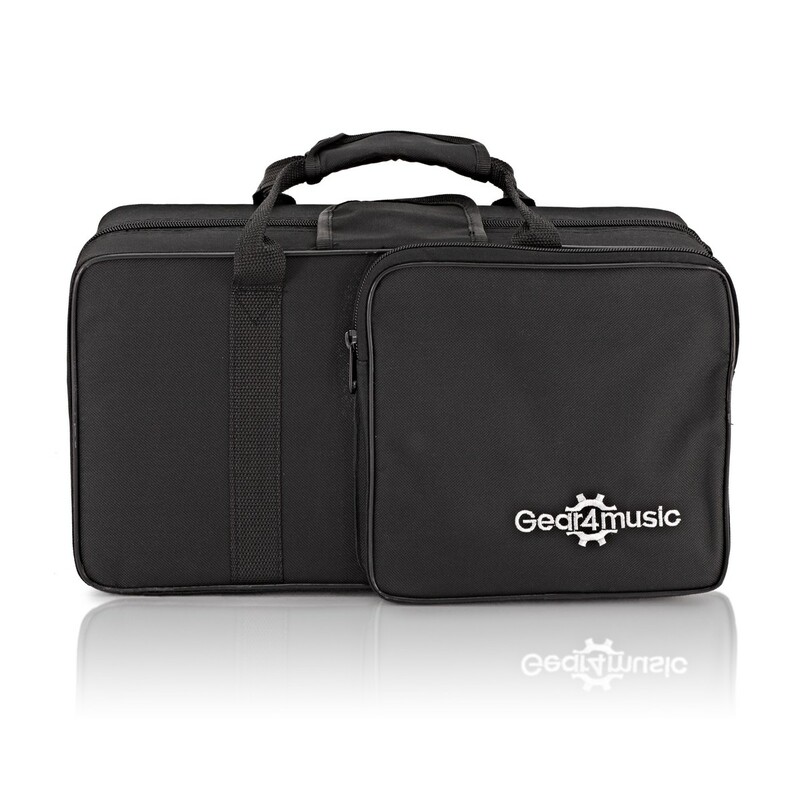 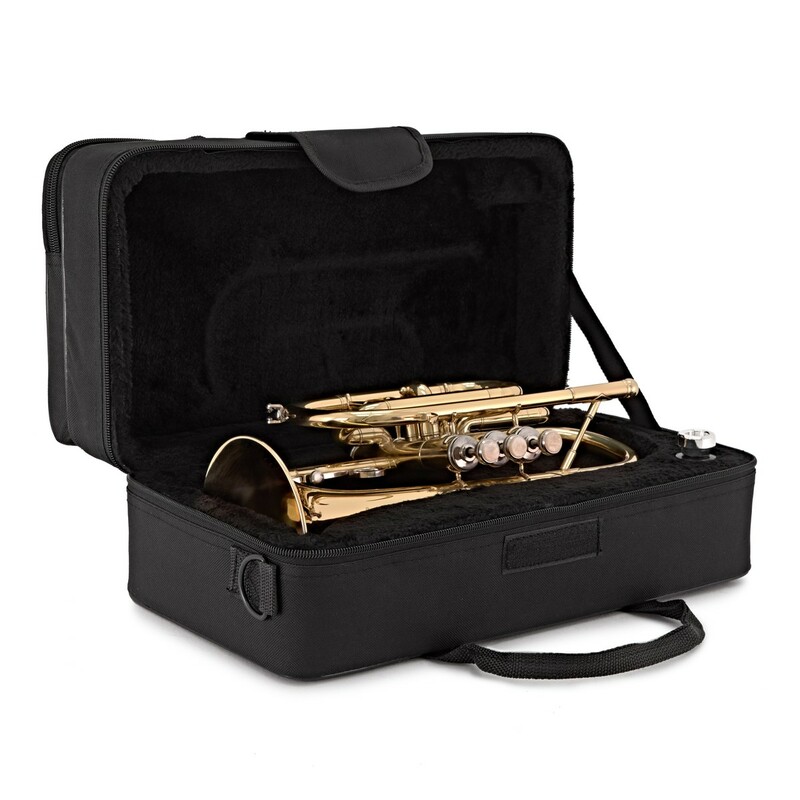 Featuring a Gold lacquer finish with two water keys, this complete outfit includes a compact hard case, silver plated mouthpiece and polishing cloth, providing everything the budding brass player needs to play, maintain and transport their instrument.